Bucknell University is a small liberal arts school located on the banks of the Susquehanna River in the town of Lewisburg, in central Pennsylvania. The beautiful campus is filled with rolling green lawns and traditional red-brick buildings. The isolated location contributes to a strong sense of community on campus, even garnering a nickname of the ”Bucknell Bubble." Visitor Information: Register to tour the Bucknell campus. Stay: The Lewisburg Hotel opened its doors in 1834 and has been welcoming guests ever since. Located in downtown Lewisburg, the hotel prides itself on excellent service and spacious rooms. The Pineapple Inn is a sweet B&B situated in the historic part of Lewisburg, just six blocks from Bucknell. Minutes away from campus book a room at the Comfort Suites. Coffee: Amami, a coffee shop and espresso bar brings Italian style coffee to Lewisburg. The menu also offers innovative dishes for breakfast and lunch. The Kind Cafe is open from 7:30am and offers delicious coffee, breakfast and paninis. Breakfast: Try the bagel sandwiches at newly opened, All Star Bagels. Known as the "un-fast food place," Cherry Alley offers traditional omelets, granola, and bagels along with savory crepes, tofu scrambles and breakfast burritos. Serving home cooked breakfast classics, Street of Shops is open seven days a week. Students rave about their specialty pancakes - the apple cinnamon and chocolate chip are favorites. Lunch: You can organize a meeting with a current student for lunch at Bostwick Marketplace, Bucknell’s main dining hall. You’ll eat, enjoy a casual conversation and experience everyday student life. Lunch visits are for prospective students only, but your family or other guests can have lunch in the Bison. Another option is Towne Tavern for burgers, and bbq. Pizza lovers will be happy at OIP. Get your fill of wings, burgers, nachos or healthier salads at traditional American Bull Run Tap House. Casual: Fresh off the college tour, one parent raved about the Thai food at Siam. In the mood for sushi - SushiHana is delicious for classic Japanese. Another good option is La Primavera for solid Italian food. The penne alla vodka is a specialty. Take a trip back in time and experience Fence Dine In - you'll be dining in your car while enjoying the friendly car-hop service. Locals and students rave about the pulled pork at Skeeter's BBQ. A Step Up: The atmosphere is intimate at Elizabeth's with an extensive wine list and food that never disappoints. Students say this is the best restaurant on Market Street. Reba and Poncho's is where Mediterranean meets Mexican cuisine and everything is cooked to order. Take your time and enjoy the warm, fun atmosphere. Late Night Snack: Open till 10PM, Sweet Frog delivers Fro-Yo at its best. Their new cappuccino flavor is divine. Open March thru September, The Freez is worth visiting for their delicious ice cream treats. Local Attractions: On campus stop by the Samek Art Museum. From June till August, you can enjoy Music in the Park. Take a self-guided walking tour to discover downtown Lewisburg’s many examples of fine architecture. To see more things to do during your stay, visit the Susquehanna River Valley Visitors Bureau. Just toured the Bucknell Campus? Are you a Bucknell student, parent or Alumni? 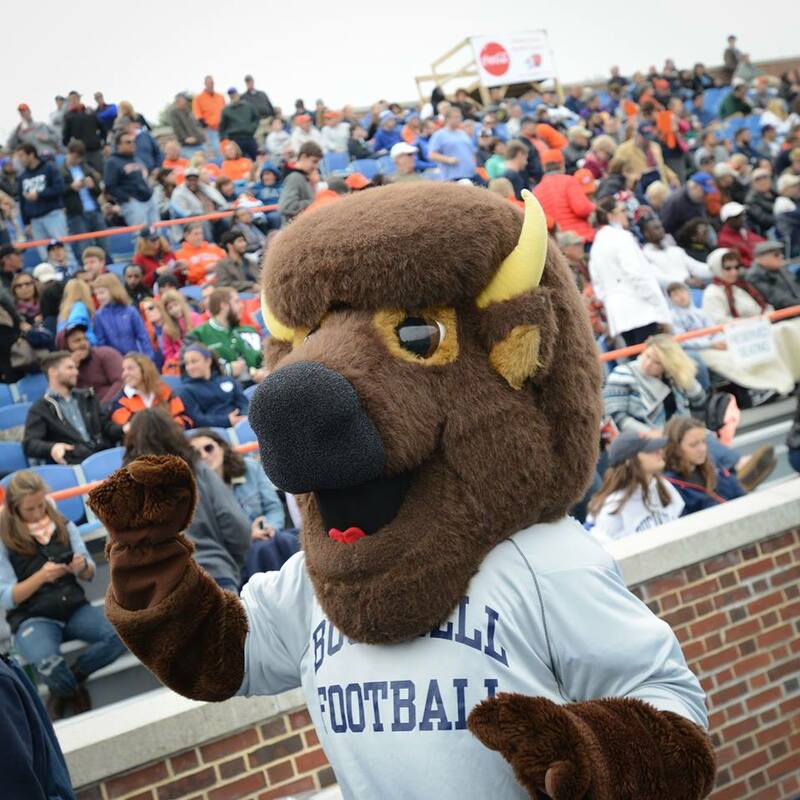 Fill out this 2 minute survey to supplement our Daytripper University Guide for Bucknell!